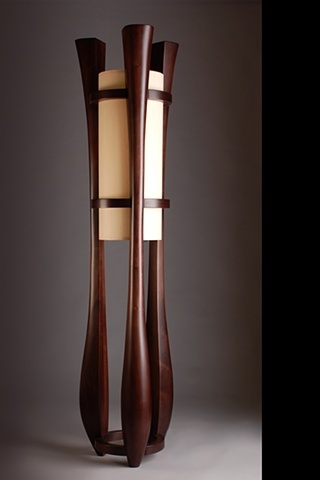 - Solid Walnut legs are carved and shaped by hand. - Show with maple veneer shade. - 2 100 watt maximum bulbs controlled by rotary dimmer switch. - This piece is made upon order.